When you talk about BeOne, you talk about an online cryptocurrency that is quite different from the normal currency we use like the dollars or the pounds. The normal government currencies are normally printed on special paper, while the online crypto currency is supplied and utilized online. So, what exactly is BeOne? From these cryptocurrency white paper guidelines, we come to learn the actual definition of BeOne. This is actually a well thought out education platform that runs online with the main purpose of affording people a money earning venture. This venture is based on people sharing with others the individual knowledge, experience and skills. 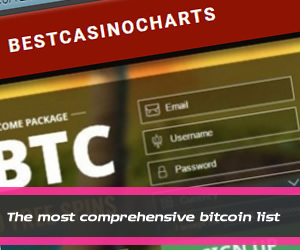 At BitcoinTalk the main aim is to promote this cryptocurrency to gain an at par level with the other already introduced online Bit coins currencies. The expert knowledge they have in offering to the general public a very wide array of money process methods and again at a minimalfee is an advantage towards this end. • Offering online education can be lucrative as online based education have a figure of about 165 billion dollars. • 1t is possible to attract the best instructors from other crypto currency platforms by developing own online-platforms and smart mobile applications. • System is able to analyse user behaviour to track all user interests and use this to make right content offers. The BeOne developers claim that there is no other platform that offers a lower commission for instructors than they do and this is largely due to the fact that they use Blockchain technology. On top of this, they have found numerous ways in which to monetize on webinars, courses and individual consultations. So far, this platform shows that it will be able to effectively cater to all students. The wide array of interactive courses they will have to offer will educate its users on a plethora of skills ranging from photography to cooking. These courses have an edutainment design to them which will help ensure that its users have an easier time studying the educational materials offered by BeOne. This edutainment manner in which they intend to deliver their educational content is to encourage low strenuous reading and learning environments so as to be able to accommodate individual students of all ages. What makes the project new and innovative because such a solution is new and with universities going towards online environments, students and teachers can now do it in a regulated blockchain environment.